You didn't think that only Americans were going to have all of the fun and excitement of owning the Motorola DROID, did you? 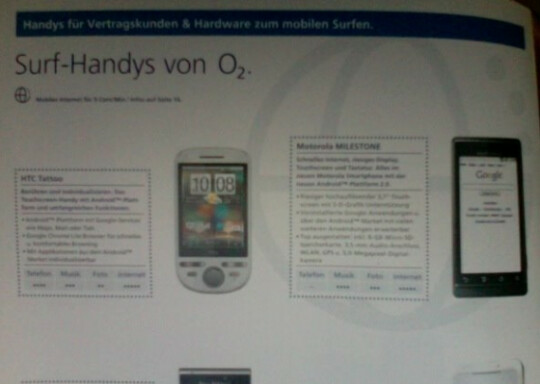 A German blog leaked a picture of a business guide and an O2 official price list which showed that the DROID heading to Germany under the name MILESTONE (Why not call it the Sholes or the Tao?). The Android powered device will be coming to the carrier, priced at 404.20 EUR which is a little under $595 USD before taxes and subsidies. 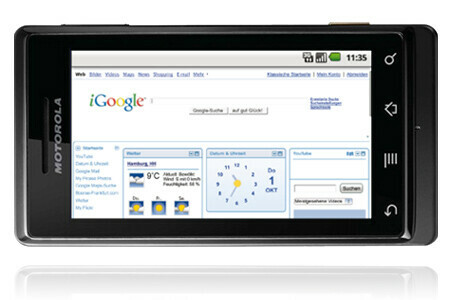 Furthermore, BGR was able to grab an image of the phone on O2's web site after a simple Google request. The Motorola comeback trail continues to take on world-wide proportions. Check out the O2 price list at this link. Too bad the CDMA version isn't getting the same mulit-touch love the GSM variant is getting. Obviously not a deal breaker, but certainly a nice feature to have. Thankfully since it has Android it probably won't take a hacker too long to get it up on the CDMA version.